The Houston Rockets (37-17) will host the Orlando Magic (20-33) on Tuesday night. Here is how to watch this NBA game online. There are three NBA games on tap for Tuesday, Feb. 7. One of those games will be between the Orlando Magic (20-33) and the Houston Rockets (37-17). Tipoff from the Toyota Center in Houston will be at 8:00 p.m. ET. FOX Sports Florida will carry the game in the Greater Orlando area. Root Sports Southwest will carry the game in the Greater Houston area. NBA TV will have the national broadcast. The available live stream can be found on NBA.com. Orlando enters play at 20-33 on the year and in 13th place in the Eastern Conference. The Magic trail the Washington Wizards (30-21) by 11 games in the Southeast Division standings. Orlando lost its most recent game on the road Saturday to the division rival Atlanta Hawks, 113-86. The Magic have gone 3-7 in their last 10 games and are 11-17 away from the Amway Center this season. Houston enters play at 37-17 on the year and in third place in the Western Conference. The Rockets trail the San Antonio Spurs (39-12) by 3.5 games in the Southwest Division standings. Houston won its most recent game over the Chicago Bulls in overtime on Friday night, 121-117. The Rockets have gone 5-5 in their last 10 games and are 19-6 at the Toyota Center this season. 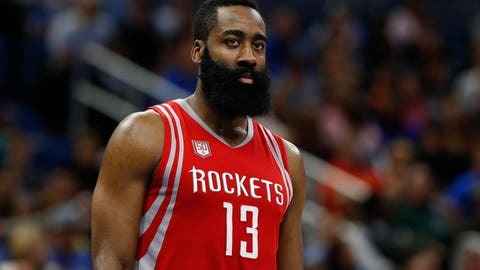 According to OddsShark.com, the Rockets will be laying 11.5 points at home to the visiting Magic. The associated moneylines for this game are Houston -710 and Orlando +515. This game’s over/under comes in at a combined 223 points. Laying 11.5 points is a ton, but the Rockets are certainly capable of handling the Magic on Tuesday night. Look for shooting guard James Harden to have a big day against the Magic.